McMobile McDonald’s by TCH/Access Agency. McDonalds is a world-wide franchise and the TCH/Access Agency has a brand new idea for getting the name in new places… The streets. In the friendly tradition of ice-cream trucks and pop-corn carts, the highly visible McMobile brightens up the day at large sporting events, concerts, street festivals and any other events where large crowds are present — and hungry. For people waiting in long line-ups to get into such events or to buy tickets, the McMobile would be not only a welcome and entertaining distraction, but a chance to get something to eat that they would probably eat anyway when they get into the event. 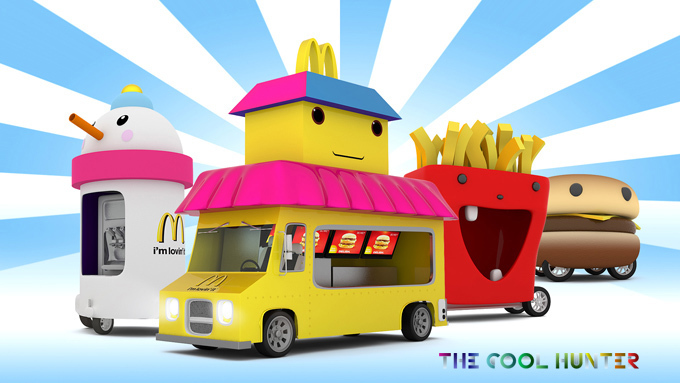 Depending on the location and specific requirements, the McMobile could take the shape of just the one main car or it could become an entire fun train with various components of a meal depicted in each car. 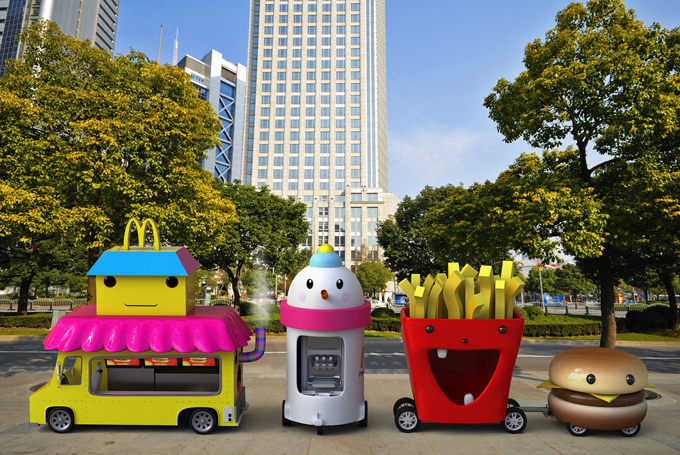 To make most of the fun of this fun meal-on-wheels, the concept would be further enhanced by specific music, mascots, staff and entertainers interacting with the crowds — all part of the experience of encountering the McMobile. 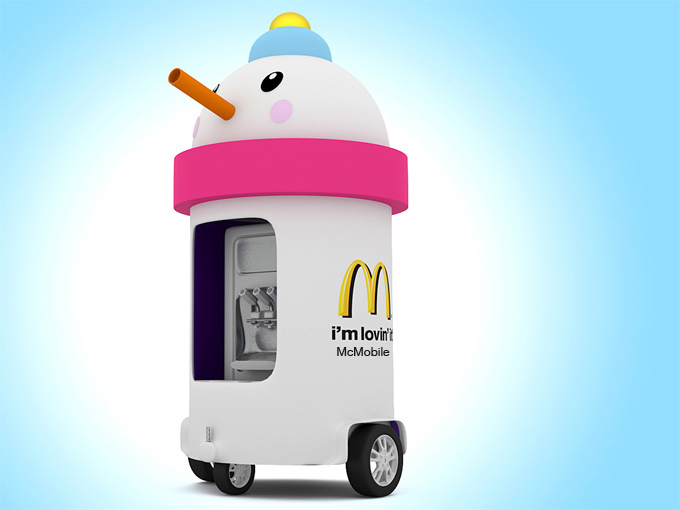 With its bright colors and cute appearance, McMobile will be photographed and broadcast in social networks by consumers where-ever it shows up. 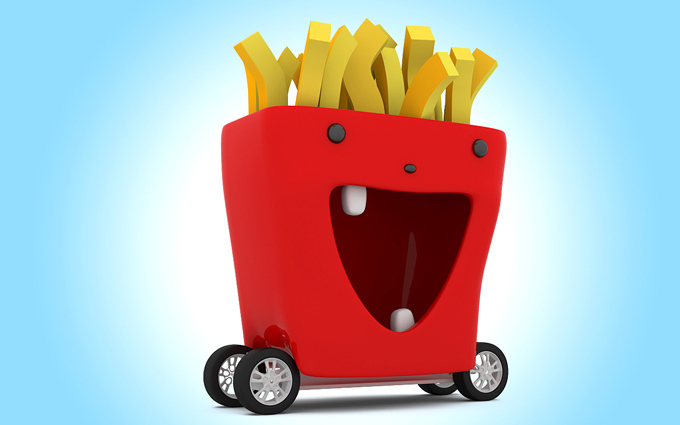 McDonald’s could even run a “Spot McMobile” contest online to increase the visibility. McMobile is a concept created by Access Agency which will be sold as a franchise model and also used as a branded marketing experience.